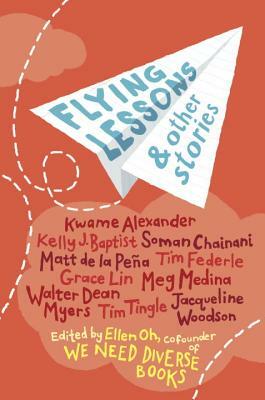 This compilation sounds great with the impressive list of authors and their diverse stories. Thanks for sharing and welcome back for another year. Thanks, Greg. It really is an impressive book. Wish there were more books like this when my daughter was growing up. I so agree with you on the need for them. Happy New Year, Joanne! Thanks, Natalie. Happy New Year to you too. I want to look for this one! It sounds great. I actually love reading short stories and don't do it enough. I know what you mean, Andrea. This is one of the few compilations of short stories I read in 2016. Wish there were more books like this when I was teaching. I taught mainly in multicultural schools and my students would have appreciated a book like this one. I've been heartened to see the range of diversity among authors and themes in recent years. This is something we writers and educators must vigilantly protect. PS, where did you find your "I support Diversity" badge? You do, Erik! It's important. I recently saw another review of this book. Sounds like I need to get my copy. Love the concept.